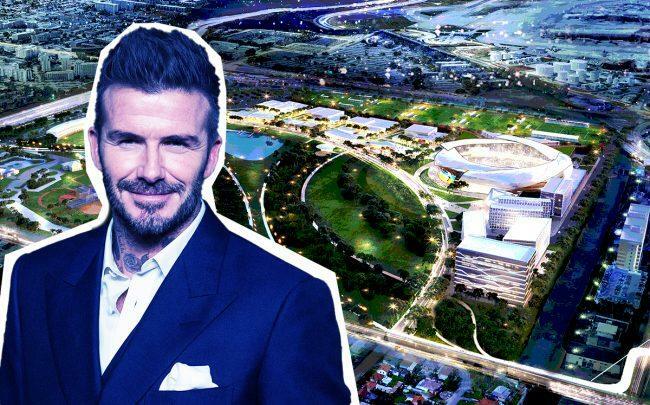 The Miami-Dade Commission on Ethics and Public Trust dismissed an ethics complaint tied to Miami Freedom Park and Miami Beckham United’s plan to build a multimillion-dollar mixed-use complex with a Major League Soccer stadium. Attorney David Winker filed the complaint days before Miami residents were set to vote on a referendum that would allow the David Beckham-led group to begin negotiating a lease for a portion of the Melreese Country Club site. In the complaint, he alleged that the developers failed to register as lobbyists before asking commissioners to place their proposal on the ballot. Voters approved the referendum in November, waiving competitive bidding for the property. The city and Miami Freedom Park LLC, an entity that includes the soccer star, Sprint CEO Marcelo Claure, and brothers Jorge and Jose Mas, is now in negotiations over a 99-year lease for part of the Melreese property, just east of Miami International Airport. Both sides declared victory on Thursday. Jorge Mas, managing owner of Inter Miami CF, called on the ethics commission to sanction Winker “for filing this baseless complaint that was fueled by a political agenda” and for wasting “government time and resources in a failed attempt to derail the will of residents,” he said in a statement. A Miami-Dade County ethics inquiry found that lobbyists in the majority of the county’s municipalities were not following county law by failing to disclose the identities of people or entities who own 5 percent or more of the corporations they are representing “due to the poorly formatted forms,” according to the Miami Herald. Winker, meanwhile, filed two lawsuits that are still pending against the city of Miami over the stadium plan. One is centered around the lobbying issue, alleging that that Beckham and his partners only registered as lobbyists after he filed his complaint, and the other focuses on the ballot language that was used in the November referendum. The Miami City Commission is set to consider a resolution forcing a vote on the lease before November’s municipal election. That would require approval from four of the five city commissioners, and two have opposed the deal.